Welcome to wheel bearing season! Over the next few months, asphalt and concrete will heave and crumble in the falling temperatures. These potholes will drive rollers and balls into the inner and outer races, causing microscopic damage. This damage will increase and cause play and noise. I know some of you think the wheel bearing replacement does not merit an article, but this attitude can cause a comeback. Wheel bearings are changing because the vehicles they are attached to and the brake rotors located on the other side are evolving. Bearing pre-load is about geometry. When preload is set, the relationship of the races to the rolling elements is set. The geometry is also known as the “angle of pressure” for the bearing. The geometry is critical to handling radial (rolling) and axial or lateral loads (cornering). The size and shape of the races and rolling elements control the geometry. If the angle of pressure is not optimal, wear and play can occur. When you are setting the pre-load with a torque wrench on a bearing with balls, you are adjusting the inner races. By tightening the nut that sets the pre-load, the relationship between the inner and outer races to the rolling elements are aligned. This geometry is very exact and needs to be set with a torque wrench, or very precise manufacturing methods, in the case of some hub units. Many manufacturers use a process called “orbital forming” that rolls the outer lip of the inner race to set the pre-load. The geometry of inner and outer bearings has been evolving. For example, asymmetrical wheel bearing hubs use different bearing row diameters to improve load capacity and overall stiffness. The hub’s outboard row has a larger diameter than the inner row, and more rollers or balls. The design increases the bearing load capacity, and the unit is stiffer than a conventional hub of the same size. 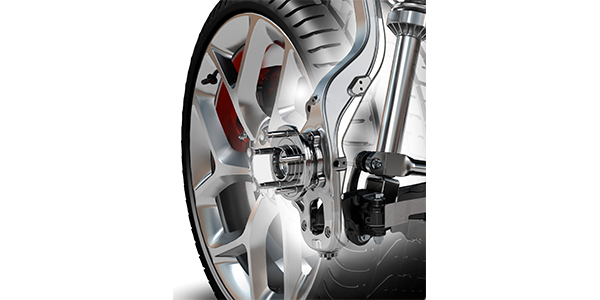 This stiffness prevents the brake rotor from flexing and tilting while the vehicle is cornering. It reduces brake caliper piston knockback that can cause a long brake pedal. This can also lower the chances of runout and disc thickness variation. Wheel bearing seals have also evolved. The goal of a seal is to keep the grease in the bearing while keeping contaminants out. But, unlike a seal on an engine, a wheel bearing will see both pressure and vacuum. As the wheel bearing is heated by friction and the brake rotor, pressure is generated. 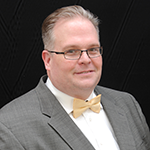 When the wheel bearing cools, the grease contracts and a vacuum could be created. The design of the seal can use multiple lips that vary in materials, geometry and number of lips. But, the design must also minimize friction and rolling resistance. The seals also differ from the inner and outer seals. On some bearings, the seal contains the encoder ring for the ABS and stability control systems. The ring contains evenly spaced permanent magnets that rotate in front of the wheel speed sensor. When installing a wheel bearing or hub unit, take care that the seal is not damaged. Even the slightest distortion of the metal carrier can cause the changes in how the bearing seals to the outer race. In the late 1970s, the hub bearing began to appear on front-wheel-drive vehicles. This was a sealed, lubricated-for-life, pre-adjusted bearing with a mounting flange attached to the strut knuckle or rear axle flange, and a hub for the rotor, wheel and CV joint. Other versions consist of a hub and bearing set that mount on a rear axle spindle or steering knuckle. The bearing could be either a ball or roller type. Passenger car and light truck hub bearings are not adjustable. 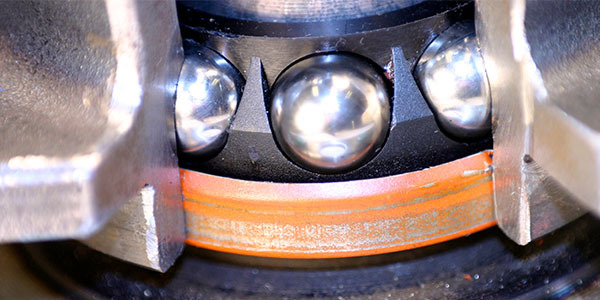 The hub is directly affected by the condition of the bearing. The driver may first notice a noise coming from the wheel of the vehicle when the steering wheel is turned. There will be noticeable endplay when the wheel is unloaded. A check using a dial indicator will show an endplay greater than 0.004 inch (0.100mm). 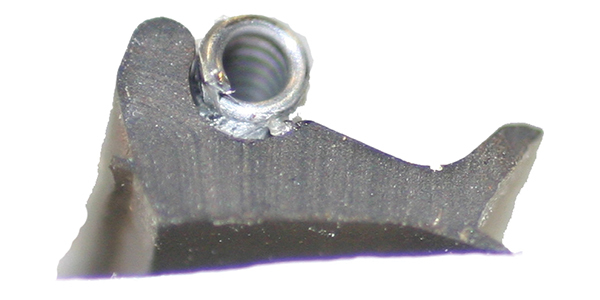 Bearing endplay can also affect a wheel speed sensor and cause an intermittent ABS trouble code. If the bearing flange has runout, that runout will be magnified at the rotor friction surface. A runout of 0.0005-inch (0.00254 mm) at the bearing flange could result in a 0.001-inch (0.0025 mm) runout at the rotor friction surface. 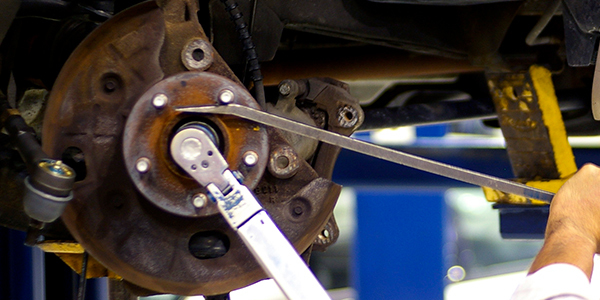 A wheel bearing is the most critical component of a braking system. It positions the wheel and rotor to the caliper, the wheel and drum to the backing plate, and controls the input to the wheel speed sensor. As Electronic Stability Control (ESC) braking systems become more complex, the wheel bearing will continue to be the central component of the system’s operation. With the introduction of the Electronic Wedge Brake (EWB) just around the corner, the caliper, wheel speed sensor and chassis controller will become the ABS system. These changes will require greater attention to the service requirements of the total suspension system. The first signs of trouble may be the ABS system kicking in when braking at low speeds and/or the ABS warning light coming on. Until you hook up a scan tool and pull the codes, there’s no telling why the light is on. The fault may be a bad wheel speed sensor (WSS), or it might be something else so don’t jump to conclusions — especially if there are no codes to guide you. If the ABS light is on and you find a code for a WSS, check the sensor wires for breaks or a loose/corroded connector. Broken wires are probably the leading cause of WSS-related failures. On some vehicles, the wires tend to be brittle and break as a result of fatigue from road vibration and/or steering maneuvers. Replacing the WSS wiring harness is usually the recommended fix for these situations. You could try to patch the broken wire, but crimp connectors are vulnerable to road splash and corrosion, and solder is usually too rigid and will crack again. It’s better to replace the wiring harness, than to risk a comeback. If the vehicle owner complains about the ABS system engaging when braking (noise, vibrations and pedal pulsations), but there are no codes, the problem is likely a bad WSS. But, which one? That’s where a scope can really help you identify the problem sensor. Connect the scope to the sensor leads and spin the tire by hand. If you get a good, clean signal, move on to the next WSS sensor, and so on, until you find the one that is generating a bad signal.